Kenny Neal comes to us straight from Baton Rouge and delivers warm and traditional swamp blues. The artist has three beautiful strings to his bow. A guitar with a well-worked and beautifully contemporary sound, the harmonica he had to borrow from Jimmy Reed and a typical Mississippi Delta voice. 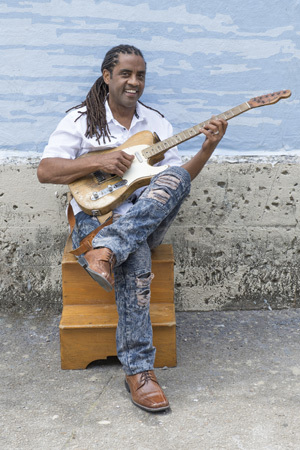 In 2017, Kenny was nominated for a Grammy and in the same year won two Blues Music Awards. Among his influences are Big Mama Thornton, Freddie King and Howlin’ Wolf, to whom, among others, he pays tribute in the opening title of his latest album, "Bloodline".